Enhance self space recognition ability. - Stick length: 2.8cm; Ball diameter: 1.2cm. 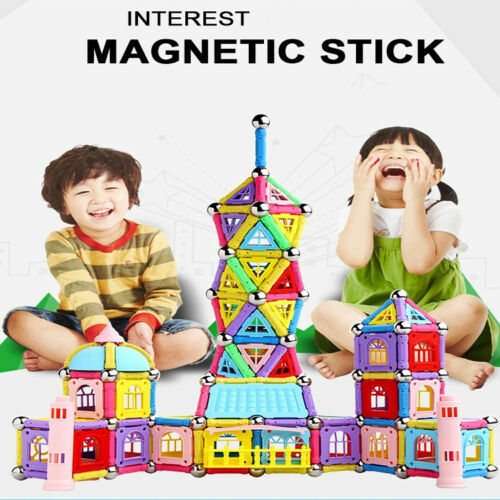 - Safety environmental super ABS plastic magnetic building blocks. 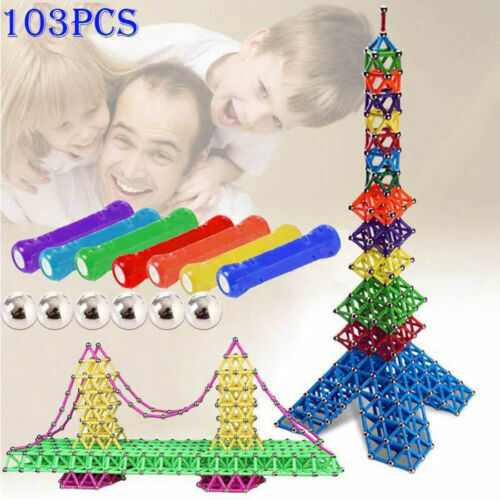 - Fun, educational and magical, and easy and simple to use. 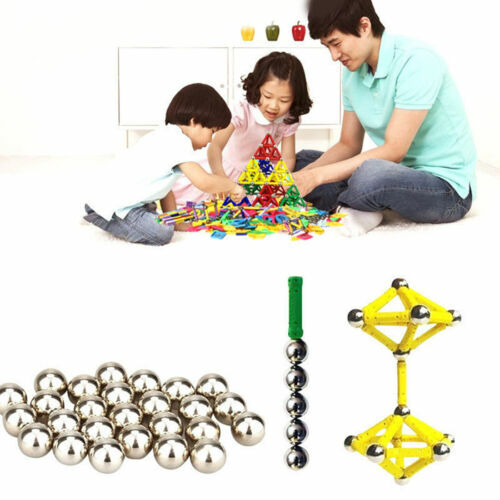 - Ideal for children and kids above 3 years old to play. 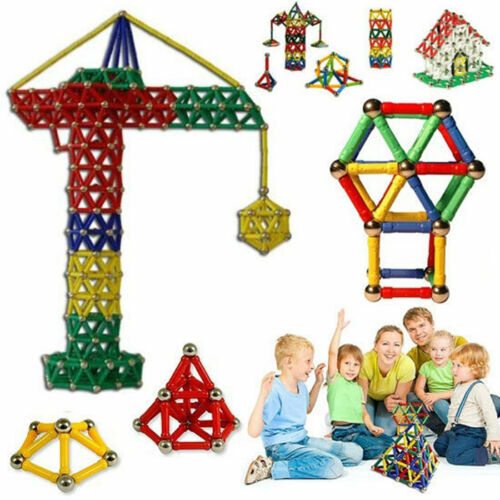 - Comes in bright, vibrant colors and encourages children to use their imaginations. - Enhance self space recognition ability. 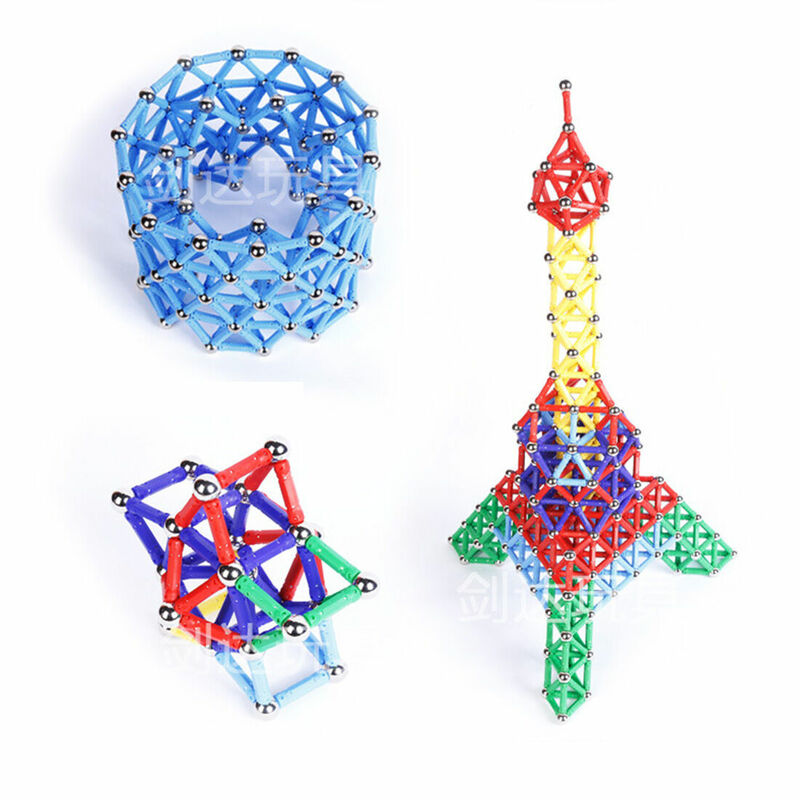 - Can DIY kinds of 2D or 3D geometric structures or models for playing. 2. Payment must be made within 3 days of auction closing. (Non-payment may result in a UPI (Unpaid Item) being put on your account. 2. Item(s) will be shipped out within 1 working day after receipt of a verified payment. We do Not ship on weekends. 3. We only ship to confirmed Paypal address. Your address match your Shipping address. We are not responsible for any loss of the mail if the shipping information is incorrect. 4.If you want to Change Address, pls contact us immediately after payment. 5.Taxes and charges are Not included in the item price or shipping charges. These charges are the buyer's responsibility. 1. We understand that sometimes an item may not turn out to be just what you need. Refund or replacement request is available within 2 weeks after parcel received & in original condition and packing. 2. Please contact us before returning items and we will provide the shipping address.Please write the item ID and your ebay ID on a note.and put it into the package.DO NOT send without communication. Feedback is important to all of us participating on the eBay community. We are always working hard for maintain high standards of excellence and strive for 100% customer satisfaction. So your POSITIVE FEEDBACK is very important. We believe communication will fix problems. Neutral or negative feedback will not solve problems happily. We hope every customer can have a good purchasing experience. Here is an illustration showing how to leave the positive feedback, please follow the following step. Thank you so much. And welcome back to our store again. 1.Work Time:Monday to Saturday. We will reply it within 24 hours except the weekends/holidays. 2.We could provide super good after-sale service.we suggest our customer contact us if they have any question by sending us ebay message.